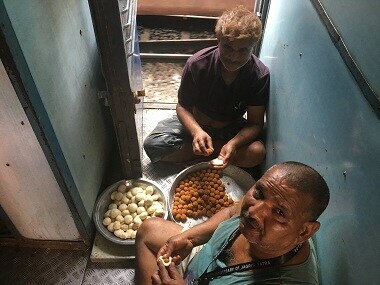 Editor's note: This is the second in a series of daily updates from on board the Jagriti Yatra — a 15-day train journey that traverses 8,000 kilometres across the country. This national train journey, one of the longest of its kind in the world, begins and ends in Mumbai. This cross-country jaunt will see youths from across India interact with a variety of business entrepreneurs and experts in Kanyakumari, Bengaluru, Nalanda, New Delhi and Ahmedabad among its many stops. 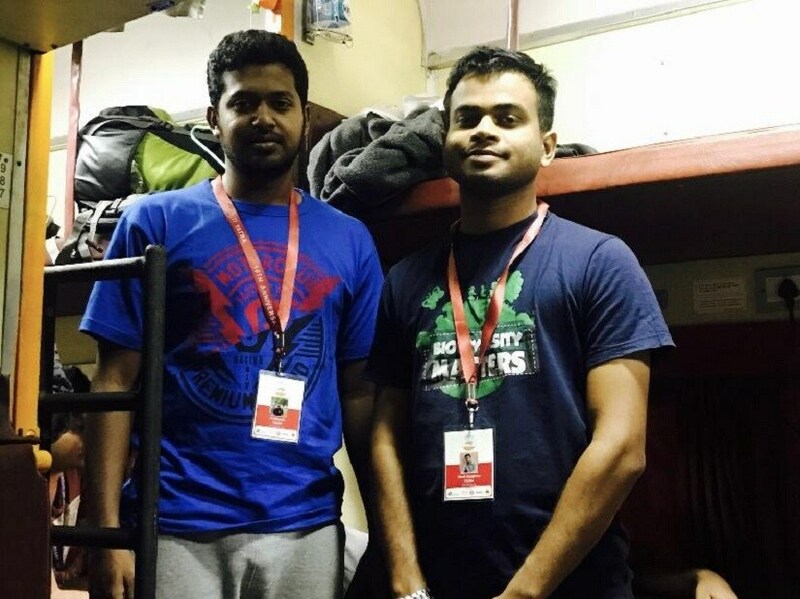 Firstpost will bring you day-to-day coverage of this marathon journey. India is a diamond in the rough. There are millions of minds that are waiting to carve its edges and bring brightness to its depths. With close to 750 million people, which is 58 percent of India’s population, inhabiting the Tier II and III districts, it is clear that a repository of talent and passion is still unearthed. It was with the intention to mine India’s human resources that the Jagriti Yatra was started a decade ago. 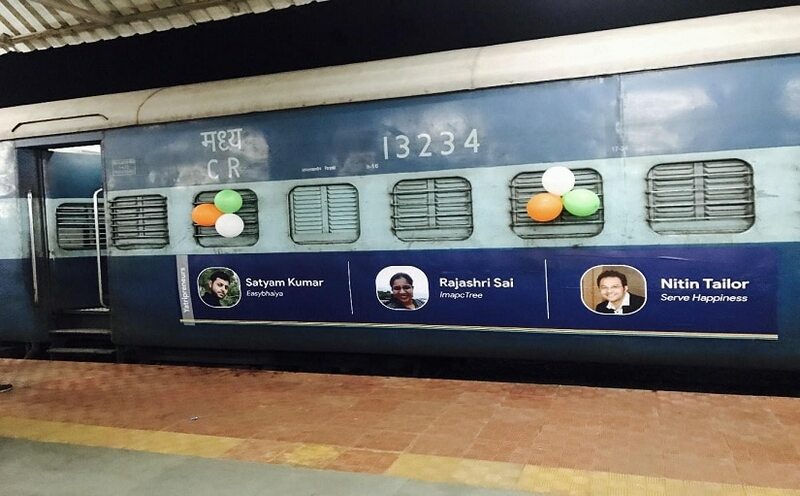 This is an 8,000 kilometre anti-clockwise train journey along the map of the country, undertaken to give exposure to 500 yatris — typically social entrepreneurs or scholars with varying degrees of hunger for insight. For instance, one of the stops was Madurai, a Tier II city known for its prowess in information technology and home to chemical, rubber and automobile manufacturing, and then at Sri City, a planned integrated city 55 kilometres off Chennai which houses 150 companies from 27 countries. Jagriti is a non-profit organisation whose development model is based on three pillars – the Jagriti Yatra, the Jagriti Enterprise Network, an enterprise ecosystem present in small towns and villages, and the Jagriti Enterprise Centre, which is a brick-and-mortar centre in Deoria in Eastern Uttar Pradesh. So far, Jagriti has established a network of more than 4,200 alumni in 240 districts. The team at Jagriti Yatra, led by its chairman Shashank Mani, whose motivation rests on the fact that after 2031, the ratio of the working age population to the total population in India will peak at 0.64 and then fall, making social and economic growth harder. “We need to act now, because with automation, the per rupee of investment in industrial sector jobs is reducing, agriculture is throwing out more jobs, while over 10 million new people are entering our working age population each and every year,” he says. At Vishakapatnam, a port city in Andhra Pradesh, the yatri contingent gained insight into the food and agriculture sectors. At a visit to the Akshaya Patra foundation, Satya Gaura Chandra Dasa, who is overseeing operations in Telangana and Andhra Pradesh, talked about aligning the two United Nations Sustainable Development Goals of zero hunger and quality education. Akshaya Patra started its Mid-Day meal programme in June 2000 with a mere 1,500 students in five government schools in Bengaluru. Today, the foundation runs kitchens in 10 states and claims, on paper, that it has 10 million beneficiaries. In 2013, 23 students died and several fell dangerously ill after eating a mid-day meal in rural Bihar. 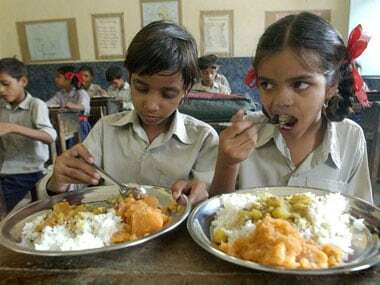 In 2016, the Comptroller and Auditor General of India (CAG) reported that more than 50,000 children in 32 government-aided schools in Punjab were not served mid-day meals and that there was no use of gloves by cooks and violations of the prescribed menu under the scheme. While ensuring high standards of hygiene in collective kitchens is one issue, the other is maintaining high nutrition standards. The National Food Security Act prescribes a minimum nutritional content that each child should get, but the Integrated Child Development Scheme (ICDS) only covers 50 percent of the population. The people at Akshaya Patra at Vishakapatnam talked about solutions for both. First and foremost, they talked about the use of a mobile laboratory for quality checks invented by Divis Laboratories, at a cost of Rs 45 lakh. “The vehicle spends a week in each of the four kitchens of Andhra Pradesh every month. Reports about the quality of raw materials are sent within hours. To keep a check on nutritional standards, we conduct a medical camp each month, and map weight and height and prepare reports to identify children who may be susceptible to diseases like polio,” said Ram Mohan, a public relations officer. The Mid-Day meal might be a government scheme (launched in 1995) but the funds the government releases amount to Rs 4.50 per day per child for students in the primary section and Rs 6 per day per child for high schoolers; the original cost, as shared by authorities at Akshaya Patra is Rs 10 to Rs 11. This is why social entrepreneurship is a prerequisite to successful policy implementation in this country and the Jagriti Yatra is bringing agro and food entrepreneurs and large foundations on one track. At a series of discussions organised in the campus of Gitam University, Rambabu Karri, a natural farming activist, talked about his venture Rhytumitra that provides end-to-end support for organic farmers and has been successful in propagating the message of zero-budget-natural-farming among its 15,000 members, which include NRIs. One of the yatris this year is Khandoba Lokhande, an electrical engineer now working as a ‘Vedic farmer’, and Karri’s message of fertiliser-free yield struck a chord with him. “Owing to the green revolution, the yield has increased to six tonne per hectare in the 1980s but is now 4.48 tonne per hectare. Simultaneously, the use of fertilizers has gone from being less than a kilo per hectare from 1950 to 150 kg per hectare in present times. Fertiliser response ratio has been consistently falling from the 1990s, and that has led to an increase in farmer suicides,” said Lokhande, who explained that natural processes, for instance, mulching sand with bullock carts instead of using tractors, will improve the ability of the land to absorb moisture. He explained that there are nearly 55 lakh farmers in Maharashtra, Uttar Pradesh, Andhra Pradesh, Kerala and Punjab practising this technique, which is branded under zero budget natural farming to remove presumptive religious affiliations. Sanjay, a farmer yatri from Assam, works in the niche sector of seed saving. He talked about going back to traditional techniques to protect indigenous seeds, which can withstand scanty rainfall or high clay concentration, or even an attack by pests and bacteria. Farming, he explains, is also an emotional and cultural practise. For instance, the tribal women of Meghalaya, especially of the matrilineal Khasi tribe, are traditional keepers of seeds and have been able to conserve varieties that stand robust against even climate change. The Government’s National Seeds Corporation Limited provides technical support to seed producing agencies, including State Seed Corporations, by imparting training to personnel engaged in the production of seeds. However, traditional knowledge is losing out to market-driven seeding patterns. “In the coastal areas of Andhra Pradesh, Tamil Nadu, Odisha and West Bengal, they used to plant indigenous varieties of rice like the slightly red kaatuyaanam and kalarpalia, which can sustain higher water salinity. There are NGOs which conduct seed festivals, the government’s agriculture universities have seeds as one single subject among their many other research areas, but mostly they promote their own hybrid seeds,” said PR Adhavan, full-time precision farmer in Tamil Nadu, who is on board the Jagriti Yatra for the third time. Akash Naoghare, also on his third yatra, is working on food literacy in Vidarbha, Maharashtra where the suicide rate among farmers who sow cotton and soya bean is relatively higher. “When the government introduced the BT Cotton in the 1990s, initially the farmers managed to get huge yields. Today, the minimum support price for cotton and soya bean doesn’t keep up with the production cost. A switch to indigenous seeds like shubhra, suraj, dhanwantri which are local to the region of Vidarbha is now needed,” he revealed, adding that BT Cotton has a gene that produces a toxin which kills insects. This might have led to an increase in production of the crop in initial stages but overtime, the insects adapted to the toxin and the farmers were left with no option but to use pesticides and insecticides extensively. The practise of farming is as emotional and cultural as it is economic. Varadha Ranjane, a Masters’ student at the College of Agriculture, Pune, says that the problems of agriculture are more complex because there is a lack of dignity given to farmers. “I work in the agriculture office at Buldana, Vidarbha, where I haven’t met a single person from the farming community who hasn’t lost a relative to suicide,” said Ranjane, who received a scholarship to participate in the yatra. She feels that the state agriculture universities (there are 76 in India) can improve their lab-to-land research execution. Today, 56 percent of farmer suicides happen in Vidharbha, Telangana, Andhra Pradesh and Karnataka. She pointed out that the three main recommendations of the report by the Dr Swaminathan Committee must be taken seriously. The first is to reduce the politicisation of agriculture, the second is to distribute the surplus land that was received after the Land Ceiling Act of 1961-1962 among the marginal and landless farmers, and third is to fix the minimum support price taking into consideration the cost of production and a margin of 50 percent. If these three recommendations are in place, then the Food Security Act 2013 will be implemented, establishing food as a fundamental right. 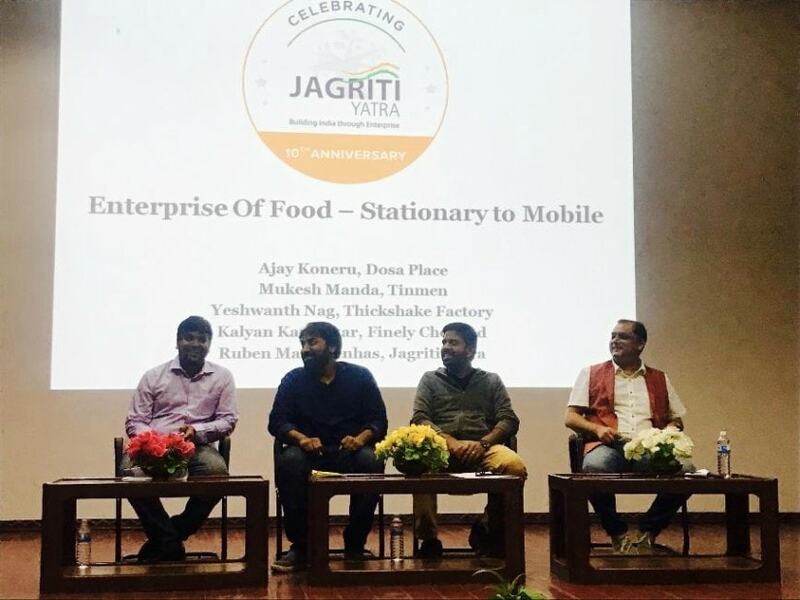 Why the government needs to wake up to this force of social entrepreneurs on board the Jagriti Yatra is because it can make use of information and technology like Integrated Voice Response System and helplines to transfer critical data to farmers. Vivek Mapari, a yatri from Pune, runs d2u (Direct 2 You), a farmer-centric ‘f-commerce’ portal that connects 700 farmers associated with fruit and vegetable growers in the Konkan region and the Nashik-Pune belt to 900 housing societies from Pune, who procure fresh produce directly, giving an overall 30 percent higher value than market yard prices. Similarly, another yatri Selvakumar Varadharajan from Vilfresh - Laymen Agro Ventures Limited, is on the train to educate people about the necessity to build an alternate and faster distribution channel to give the lion share of the consumer’s price back to the rural economy. “The middle man in this case is the rural youth. On the way to the city, they bring agro outputs and on their way back, they take agro inputs like cattle feed, fertilisers and so on. In this model, the farmer will get to sell the outputs at a retail price and will end up getting their inputs at a wholesale price, ensuring a healthier margin,” he said. Currently, not even 50 percent of the profit from food reaches the person who produces that food. The yatris on the train have been divided into issue-based groups in the Biz Gyan Tree exercise, where they’re conducting market research, defining problem statements and ideating to arrive at solutions for those problem statements in areas like agriculture, sanitation, healthcare, energy and power, and education. Hardly a sixth of the GDP comes from agriculture, and 49 percent of Indians are directly dependent on the sector and its allied activities, and intervention on the train and outside of it seems necessary. Firstpost is riding along with the Jagriti Yatra. You can read more articles on the journey here, here and here. Stay tuned for our daily updates.